People keep getting killed on Denver streets and a new report finds city leaders get only a "C" grade for fixing the problems over the last year. DENVER -- People keep getting killed on Denver streets and a new report finds city leaders get only a "C" grade for fixing the problems over the last year. "We're human beings and we need to cross the street," Montbello resident Pam Jiner said. She is a leader with Montbello Walks, which champions improved safety and resources for pedestrians. She played a crucial role in getting Denver city leaders to install a new pedestrian safety island, in the middle of Albrook Drive, to add safety measures to a stretch of road where a pedestrian was killed in 2017. A large multi-unit housing complex is nearby. "This is exactly the kind of improvement we'd like to see the city make throughout neighborhoods all across the city," Jill Locantore of WalkDenver said. However, those sorts of improvements are arguably not happening soon enough. 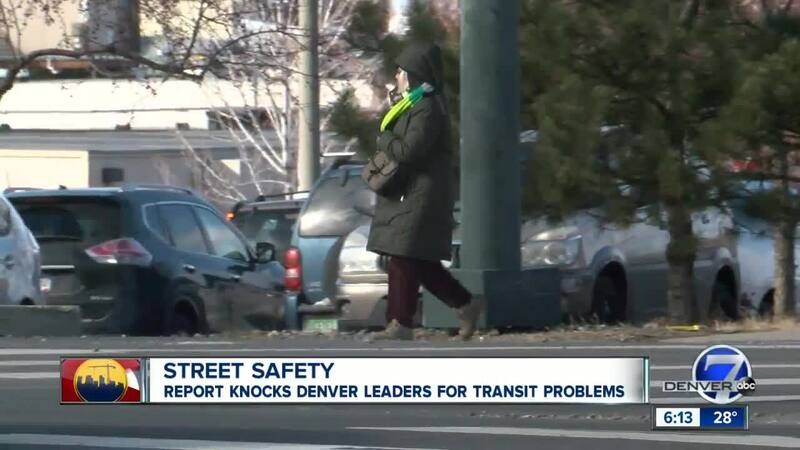 WalkDenver joins others involved in the Denver Streets Partnership, which issued the "C" letter grade for the city's progress on its "Vision Zero" to eliminate traffic fatalities by 2030. The report card praised the city for adding nearly 20 miles of bike lanes, but said it fell short in adding new sidewalks, traffic calming devices, street lighting, and more advanced pedestrian crossings. 59 traffic fatalities in 2018 were noted in the report card. "We just try to make walking accessible for the pedestrian," Jiner said of her involvement in pushing the "Vision Zero" initiatives. She noted that a number of her neighbors don't have access to a vehicle and sometimes express frustration about the reliability of public transit. Thus, they sometimes walk. "We have to walk, but we need safe access to our streets," Jiner said.